First thing first.. Here is the @@version for SQL 2014 on my laptop. 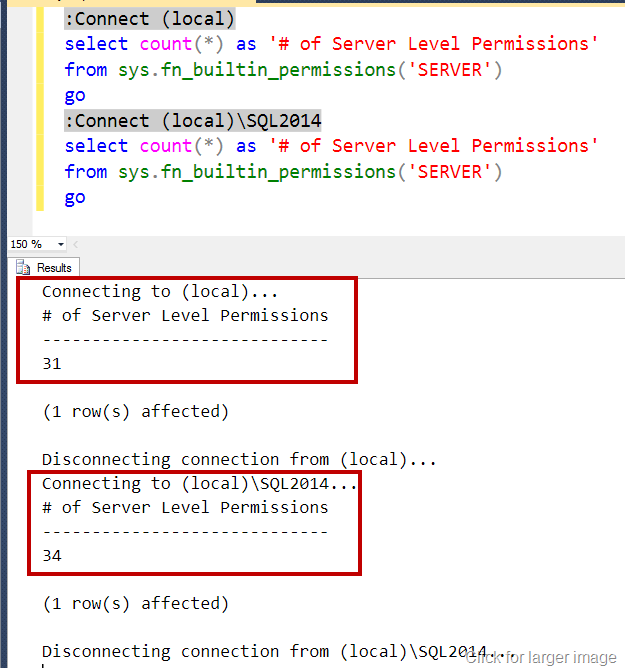 My default instance is SQL 2012 and I can see 31 permission whereas SQL 2014 has 34 permissions. These permissions are listed under Server properties > permissions tab. Now, If I login with the account and try to expand user database, I will get the error. This is what we have seen in earlier version of SQL as well. Unless we add user to the database, it would not be possible to expand database. Let’s give new permission to that login. 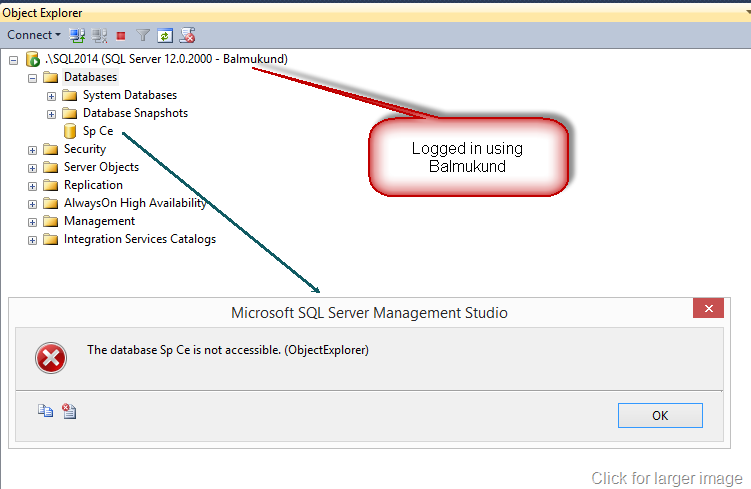 Once permission is given, Balmukund should be able to expand database. But wait.. can he see all objects as well? You may ask… what’s the use? All we are avoiding is just the error message? 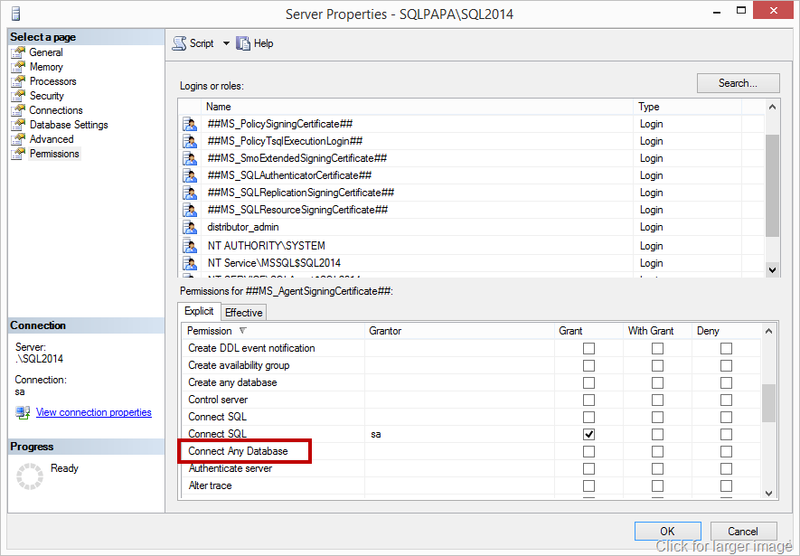 Well, there have been ask from customers to provide “Read-Only” or “Auditor” role for SQL Server. Combining this with other new permission can help in achieving that. The cool thing about this permission is that it will also allow logins to connect to databases that would be created in the future. In next blog, I will show you demo about other new permissions. In the last post (part 1) we have discussed about how to create UDL and how a basic connectivity check can be performed. Another cool thing about UDL is that it can help a developer to create connecting string for the selected provider. Here are the steps. Create a blank UDL file (Refer Part 1). Hit Next or move to next tab “Connection” and provide necessary values. 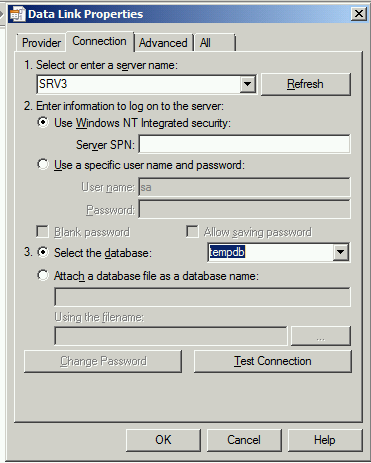 I have given server name (SRV3), selected “Use windows NT integrate security” and typed in database name as tempdb. Once all necessary values are entered. 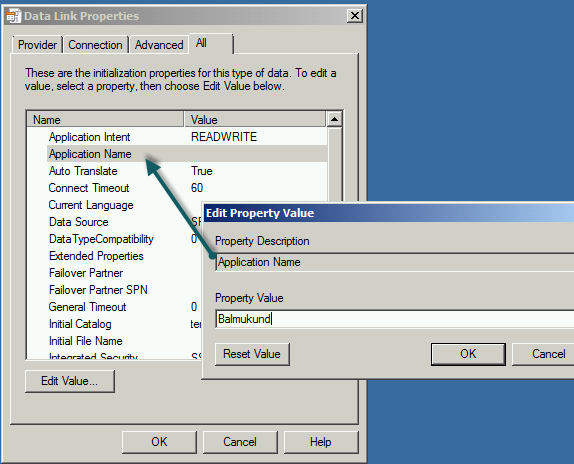 Hit OK.
Notice that connection string is ready and can be used in the application code. Interesting? Please comment if it was useful. 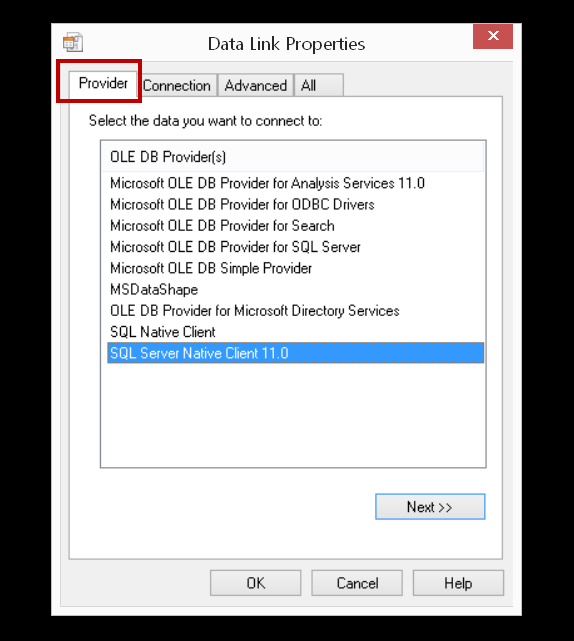 In most of the situations you may not have SQL Server Management Studio (SSMS), command line tools (SQLCmd, OSql, Isql) to check whether you are able to connect from given client to SQL Server or not. If you have ever called Microsoft SQL Support team for connectivity issue, “UDL Test” would be familiar to you. UDL stands for Universal Data Link. 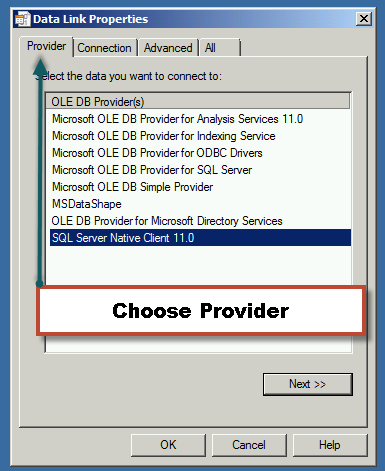 Its “universal” means it is not just to test SQL Server connectivity test, but it works for other RDBMS as well. We can also get connection string using UDL file. Lets start with connectivity first. 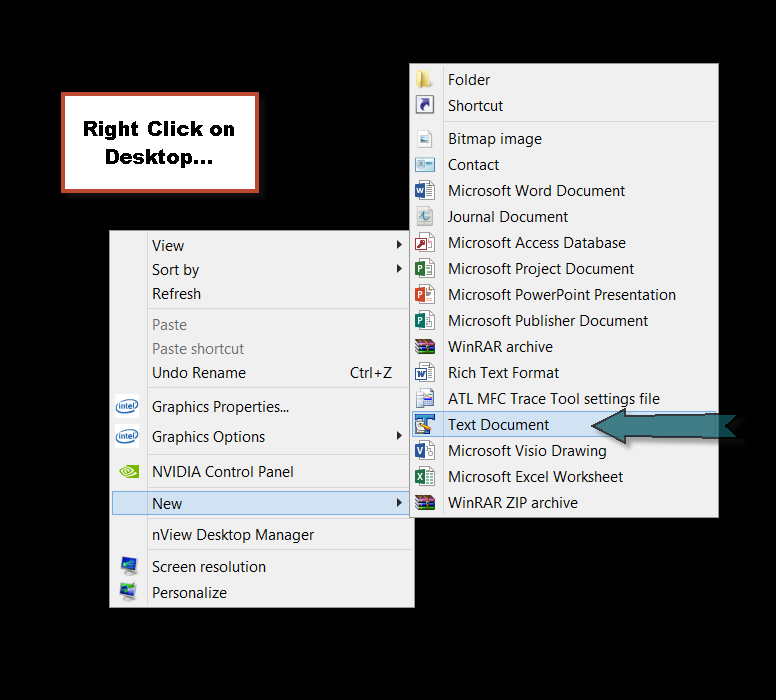 To create UDL file, Right Click anywhere on desktop > New > Create a empty Text Document file. Once you have text file, change the extension of the file to udl. A warning might appear, explaining that changing file extensions could cause files to become unusable, hit OK. In case you don’t see file extension: Open Windows Explorer, and on the Tools menu, click Folder Options. On the View tab, clear the Hide file extensions for known file types check box and then click OK.
As soon as you would change the extension icon would change as below. Next tab is “Connection” which is about the login credentials. 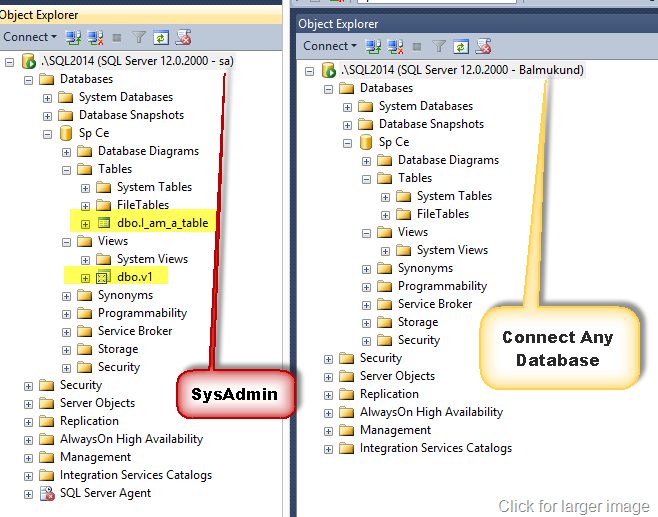 Think of the SSMS login screen and it has all the details asked. 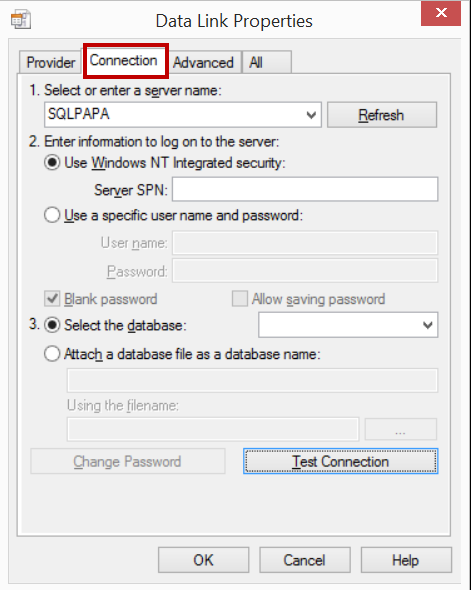 We can choose Windows/SQL Login. Everything is self-explanatory. 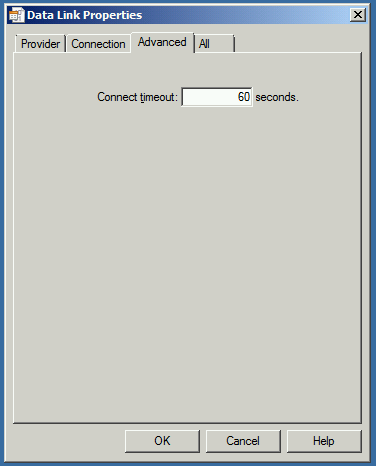 After choosing three settings, we can do a “test connection” and see whether this client is able to connect to SQL Server or not. In case of problem, correct error from native client would be thrown. This is one of the test which every troubleshooter should know.